My grandma would think I’m spoiled for all the automation in my kitchen. Shred the cheese. Slice the ham. Chop the peppers. Knead the bread. I have spent countless hours chopping, cutting, slicing, kneading, grinding, and shredding ingredients in my kitchen. For each prep method, there is some serious leg (or arm) work to be done. Kneading bread is next to impossible. I’ve sliced my fingers when chopping vegetables (just the tips, but still!). And I’ve scraped my knuckles when shredding cheese. Plus, after all the slaving away for a delicious home-cooked dinner, there are a bunch of dishes to be cleaned afterwards. There’s nothing more demoralizing than dishes after the wine has set in. The Cuisinart Custom 14-Cup Food Processor. If preparing your own meals didn’t consist of lengthy prep times and endless dish washing, going out to eat would be far less popular. Eventually, I got tired of all the tedious food prep methods. I jumped into Google, did some research, and found a couple options to improve the experience. My first purchase was a mini food processor. I figured I could save money over some of the more expensive options and still get close to the results I was looking for. When it arrived, I pulled it out of the box, plugged it in, and hit the button. Nothing happened. Out of the box, it was completely broken. This had to be karma catching up with me — I wanted the best of both worlds: quick food preparation and a cheap price. 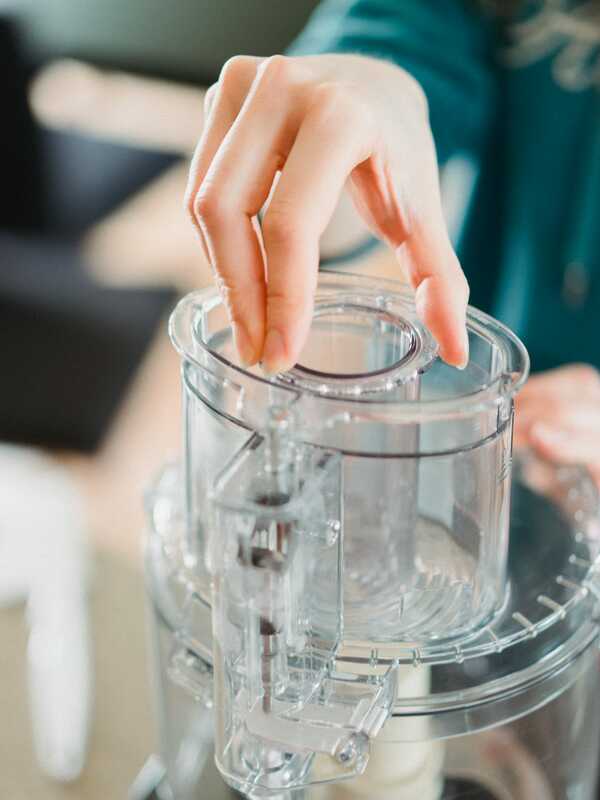 This specific food processor is the model recommended by The Sweethome. So far, I couldn’t agree more with The Sweethome’s pick. I returned to my Google search and was met next with The Sweethome’s guide to the best food processor. Without even thinking, I clicked on the Amazon link, ordered Cuisinart’s finest food processor, and eagerly awaited for it to arrive. In the meantime, I scowled every time I had to slice through another green pepper. From the top feed tube down to the 18-pound base, the Cuisinart Custom is a workhorse appliance for any kitchen. When the Cuisinart Custom 14-Cup Food Processor arrived on our doorstep, my speed in the kitchen shot through the roof. I can now prepare dinner in a fraction of the time and have the courage to try all sorts of new recipes. 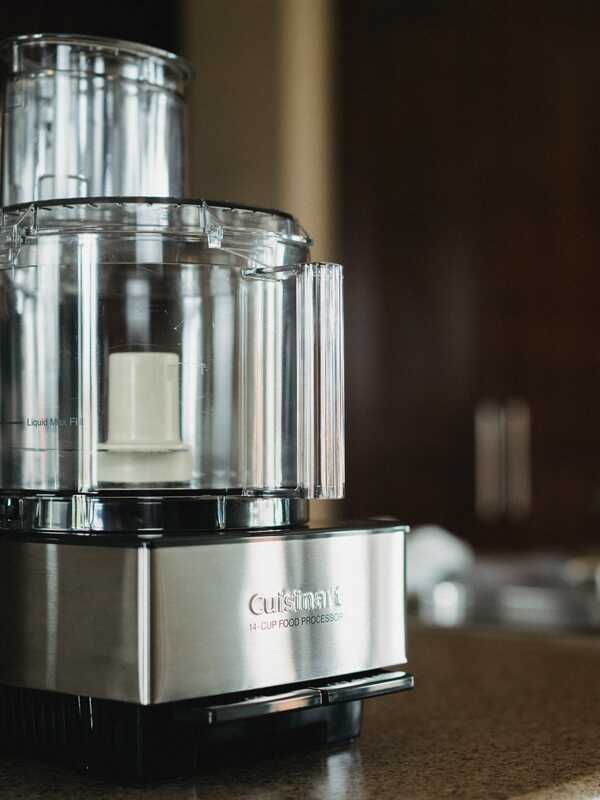 The Cuisinart Custom 14-Cup Food Processor takes “food prep” to an entirely new level. 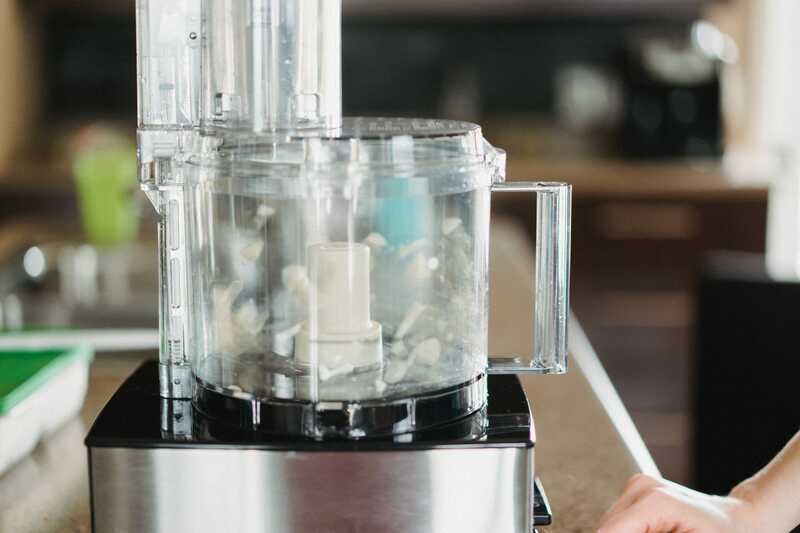 The Cuisinart Custom 14-Cup Food Processor is surprisingly large and heavy. Like, really heavy. Eighteen pounds heavy, in fact. I struggled a bit to get it out of the box. 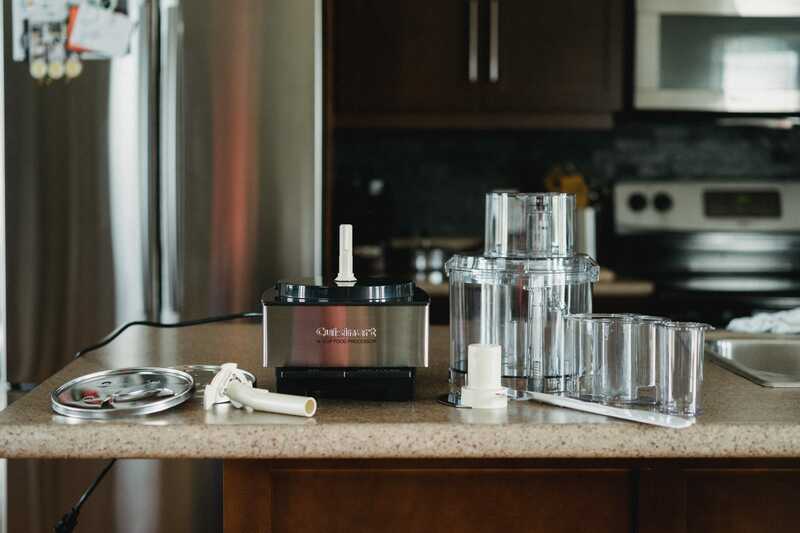 The Cuisinart Custom comes with a bunch of accessories. If you have a small kitchen, storing all the items could prove to be a hassle. Seen here: 14-cup mixing bowl, plastic spatula, a small and large feed tube, and a chopping/mixing dough blade. Seen here: one slicing disk and one shredding disk. 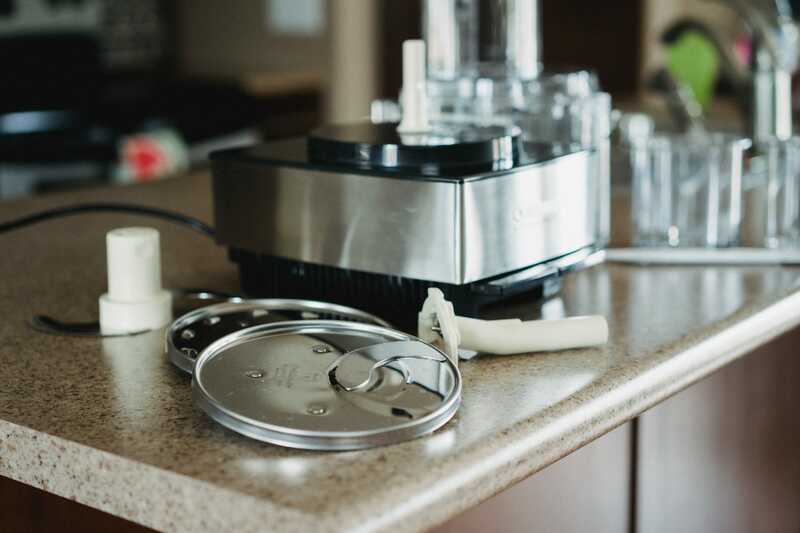 Setting up the Cuisinart Custom takes a few steps, but it becomes second nature. 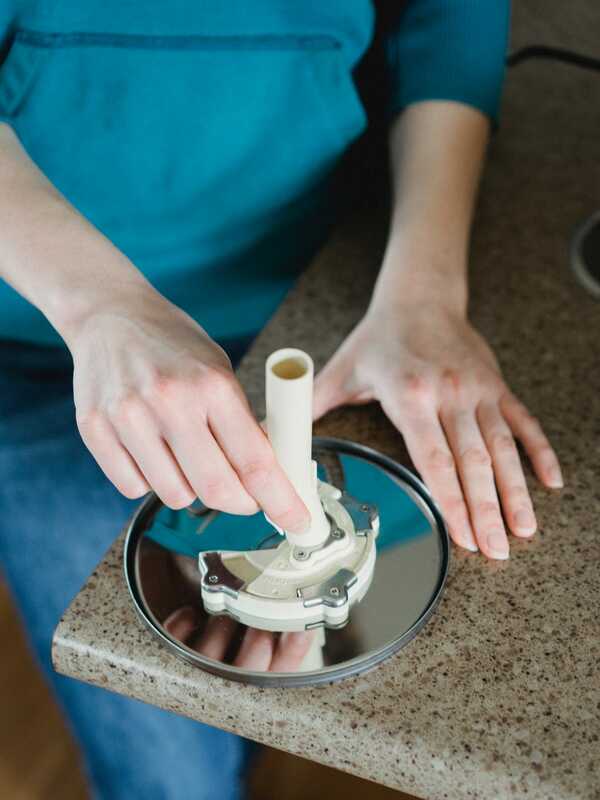 Using the attachment tube, you can mount the shredding or slicing disk to the food processor’s motor. 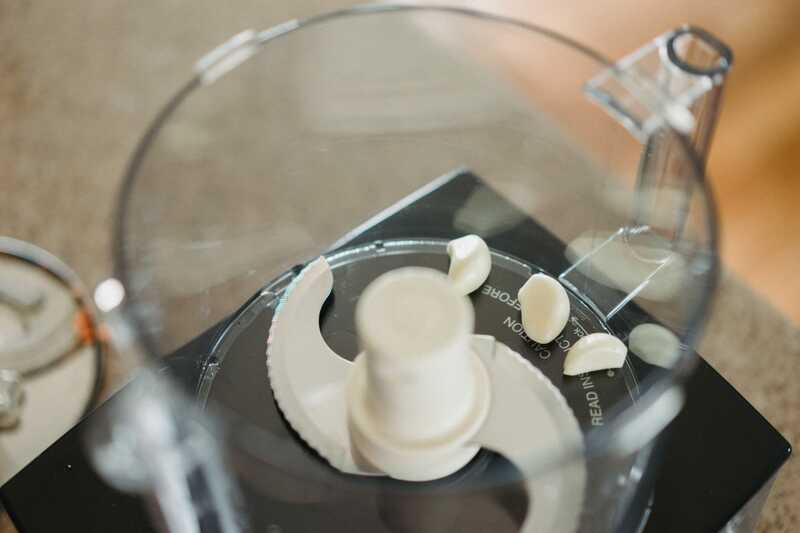 Without the attachment tube in place, the Cuisinart Custom’s safety features kick in and the machine won’t turn on. The base makes up the bulk of the processor and houses all the excessive weight. At 18 pounds, you’re either going to need lots of counter space to leave it out when it’s not in use, or you’re going to have to gain some muscle to store it. Whatever you decide to do with the base, storing all the small pieces will also be a pain. 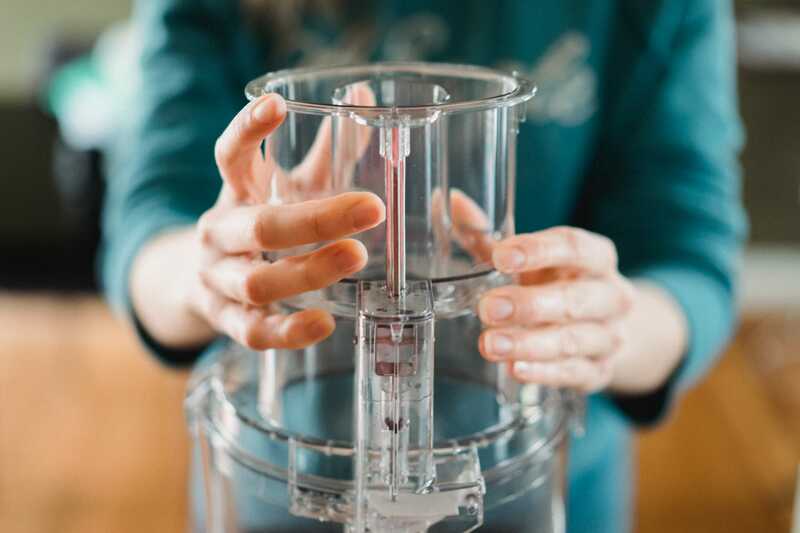 There are safety mechanisms hidden all over the Cuisinart Custom 14-Cup. Here, you can see me placing the pusher into place at the top. 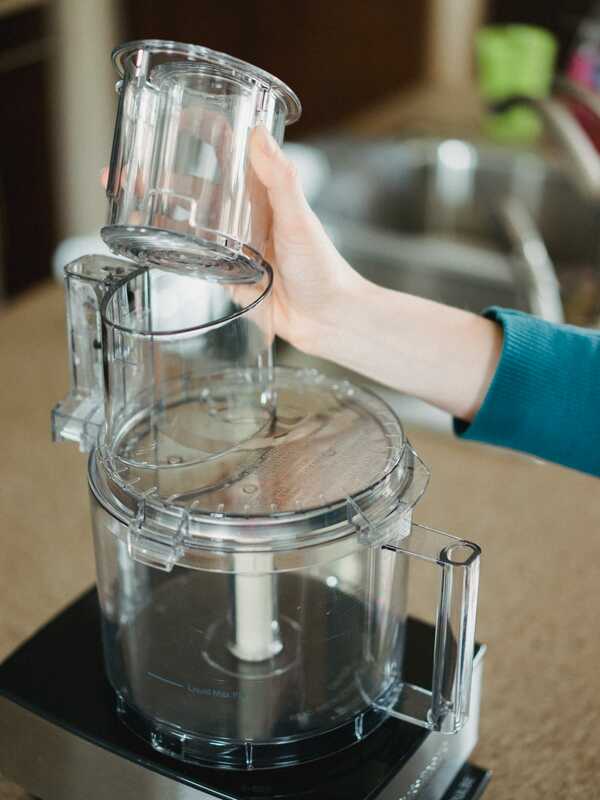 If the groove of the pusher doesn’t feed into the feed tube, the food processor simply won’t turn on. The base has two simple controls: “On” and “Off-Pulse”. 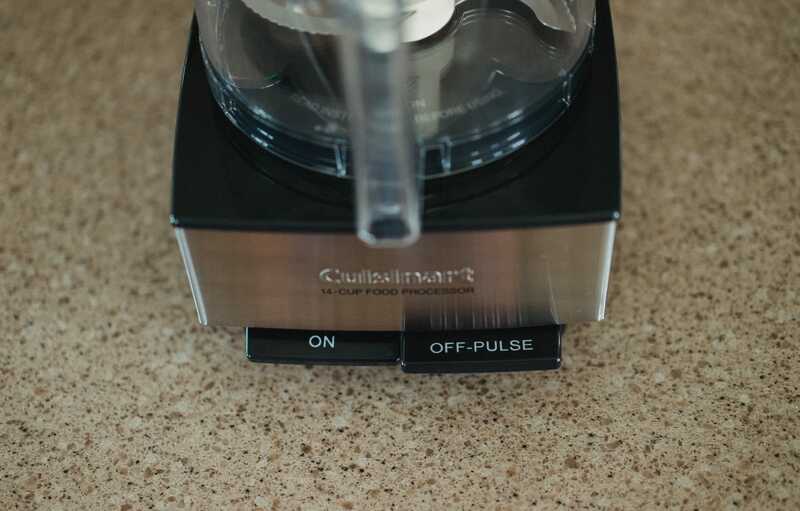 Pushing the “On” button locks the Cuisinart Custom into a continuous processing cycle. 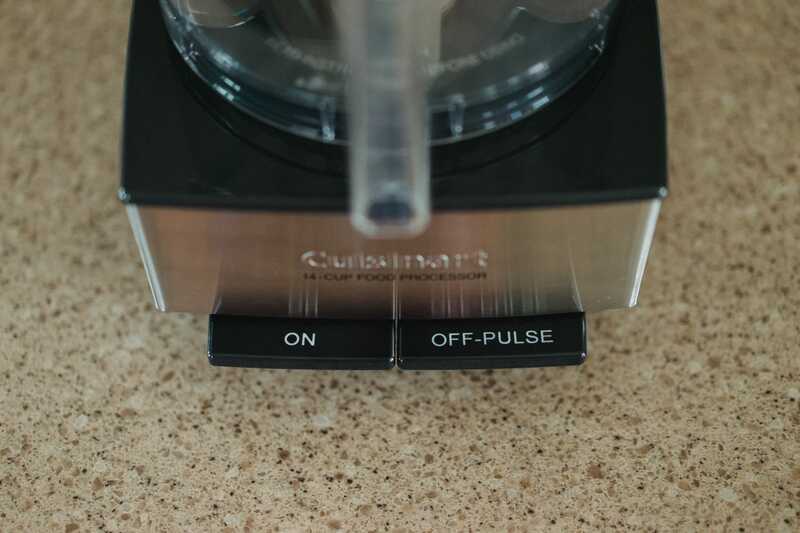 The Cuisinart Custom only has two buttons: “On” and “Off-Pulse”. 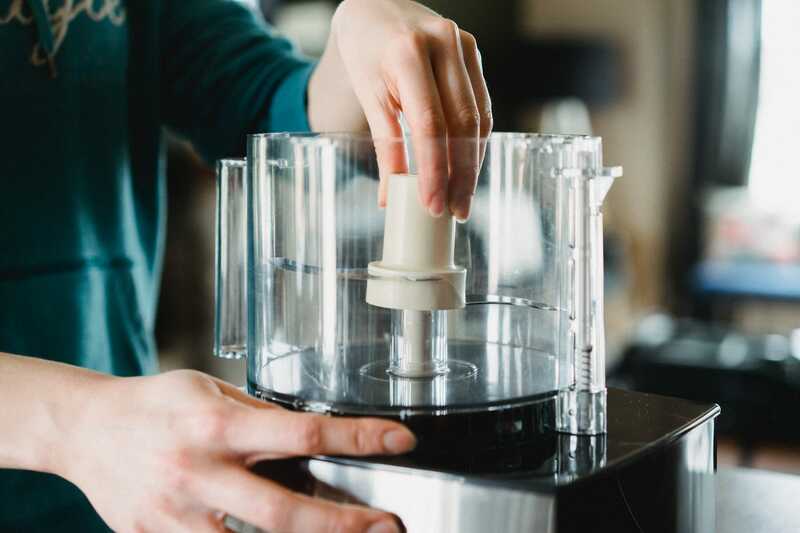 When pressed down, the “On” button locks into position at the food processor spins to life until you push the “Off-Pulse” button. 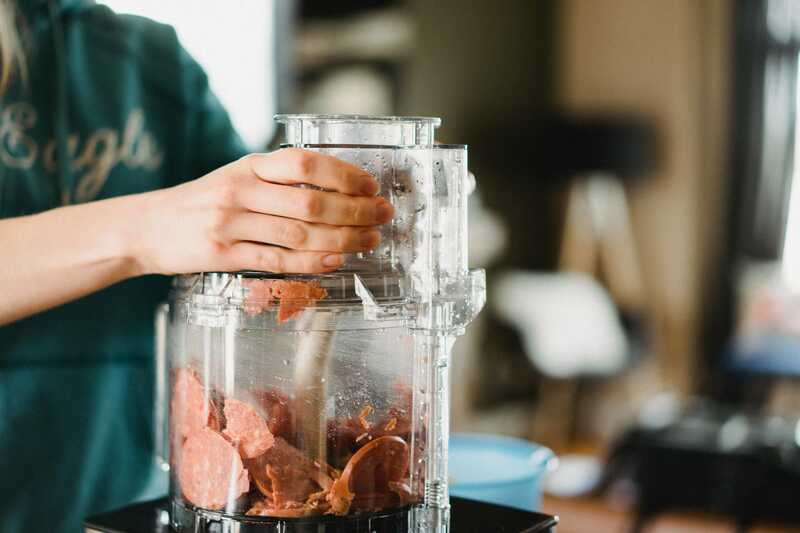 You can use the “Off-Pulse” button to pulse the food processor — perfect for very quick meat slicing or vegetable chopping. Once the “On” button is locked into place, you have to hit “Off-Pulse” to stop the processor. “Off-Pulse” is a non-continuous option. Press “Off-Pulse” down and the processor roars to life. Let go and the processor stops. “Off-Pulse” is good for chopping vegetables and shredding cheese. “On” is good for grinding meat and puréeing ingredients for soups and dressings. Even after two zucchini, the large 14-cup mixing bowl starts to feel not so large. The large 14-cup mixing bowl is simple and easy to use, but I’ve been surprised with how quickly I’ve filled it up. It doesn’t take much cheese or dough to bring the bowl to its max. Now that I know how quickly the 14-cup bowl fills, I would never buy smaller than 14-cups if I had to re-buy. Except for the (extremely!) 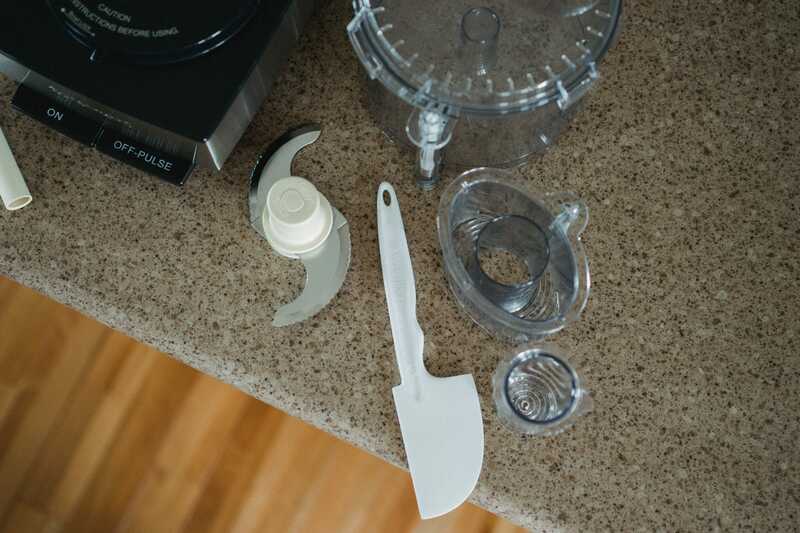 heavy base and slicing disks, the Cuisinart Custom comes with a bunch of plastic parts. All the small parts are made of plastic. The pushers are a clear, transparent plastic that still feel durable in your hand. The feed tube at the top is transparent as well. Each circular disk is made of plastic except for the sharp metal slicers and knives. The chopping/mixing dough blade is especially sharp. 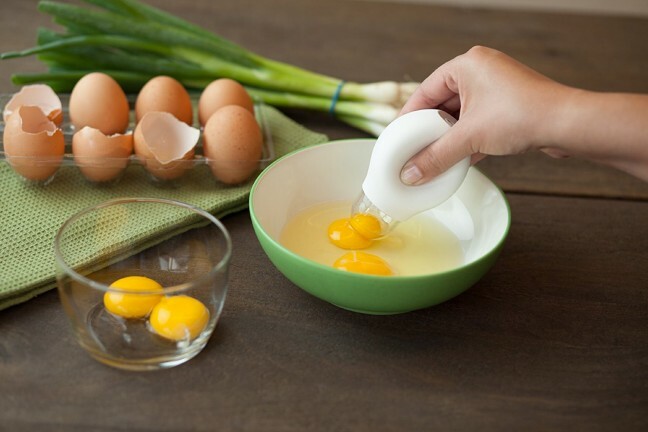 People will love that it’s dishwasher safe. However, maybe it’s just me, but I don’t like putting good quality dishes or appliance accessories into the dishwasher. I prefer to hand wash them. 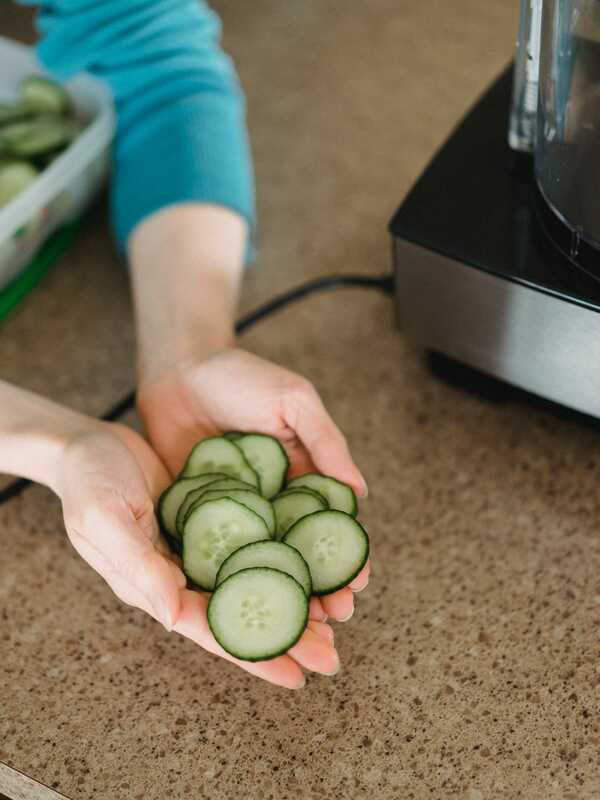 If I don’t want to dirty a bunch of accessories, I’ll opt to hand-chop a cucumber instead. An efficient food processor like the Cuisinart Custom 14-Cup Food Processor has opened my eyes to the world of homemade food. 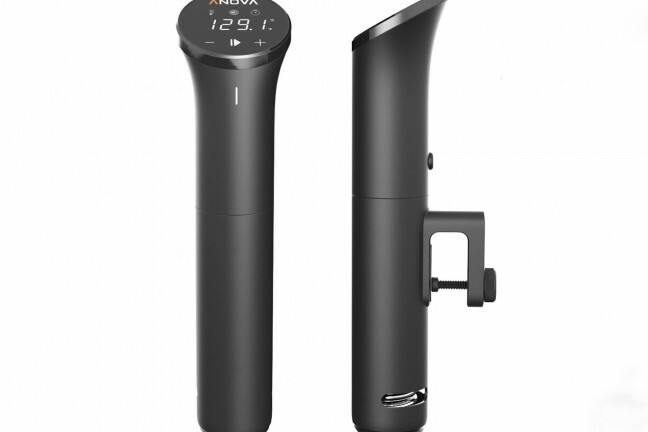 The machine is incredibly handy, allowing you to make sauces, soups, and salads within minutes instead of within hours. 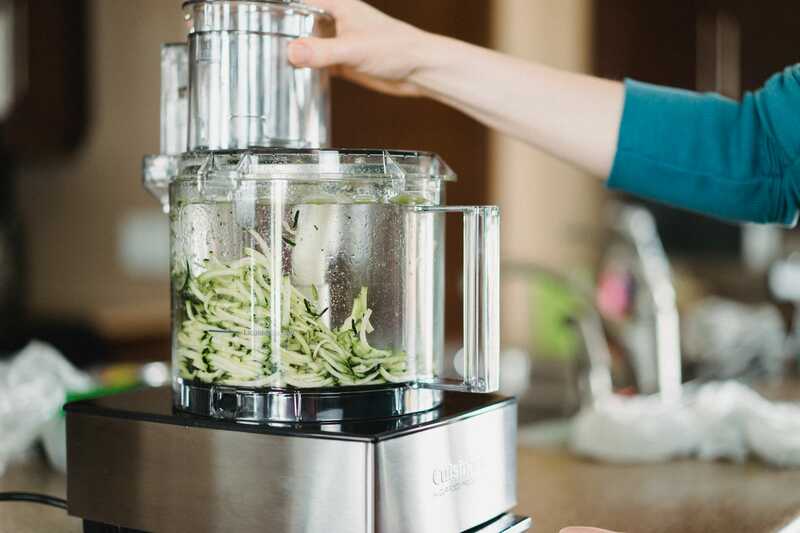 When it’s time to chop vegetables into perfect pieces, the Cuisinart Custom is my go-to appliance. Not only does it save time, it makes the food look like it was professionally prepared. Over the last few months, I’ve experimented with my own homemade marinara sauces, fresh basil pesto, hummus, and puréed butternut soup. You can always buy sauces like this at the grocery store, but there is a satisfaction in knowing exactly what’s going into each sauce before you eat it. Plus, because everything is fresh instead of canned, there’s just a bit more flavour to be had on my dinner table. Here you can see a zucchini being shredded from start to finish. Sometimes a large vegetable won’t fit in the feed tube, so you may need to cut it down slightly to get it to fit. 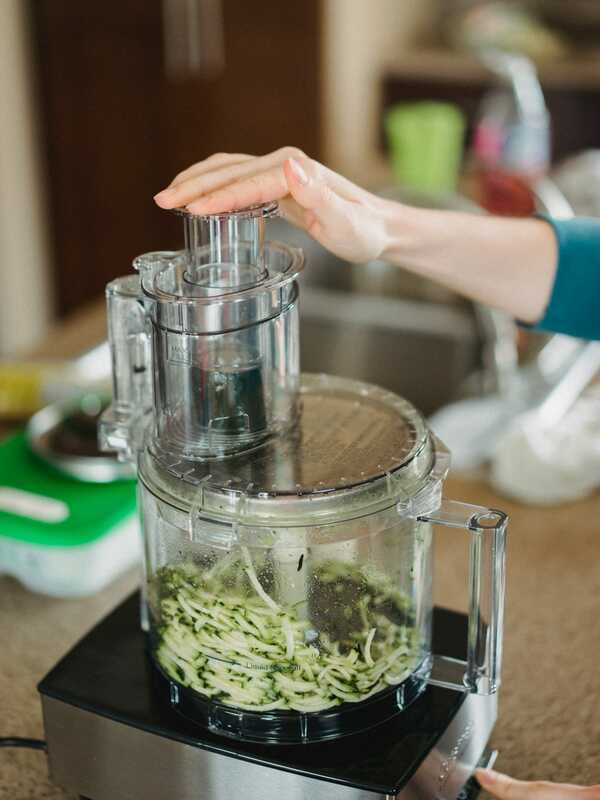 The food processor is a bit loud when working, but it mows through vegetables so quickly you hardly notice the sound. Instead, you’re awestruck at how quickly it processed your food. 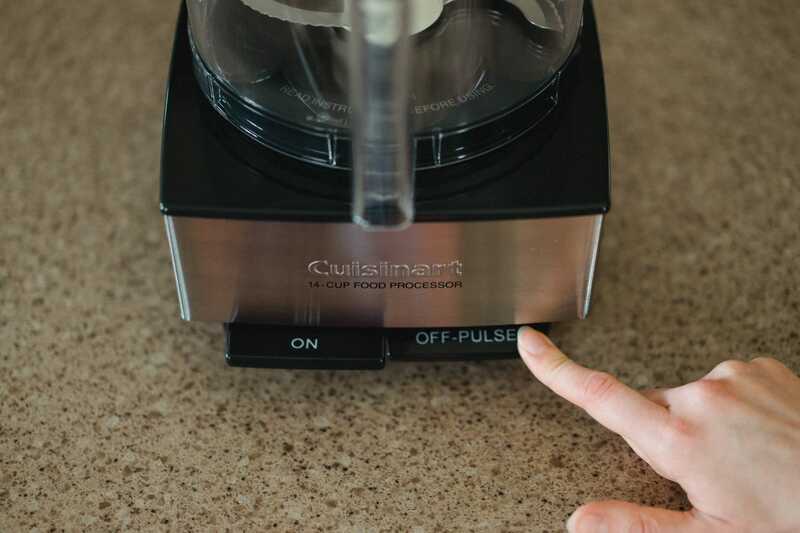 Before you can say “Wow!” the Cuisinart Custom has ripped through anything you throw at it. This machine makes me feel like a wizard. 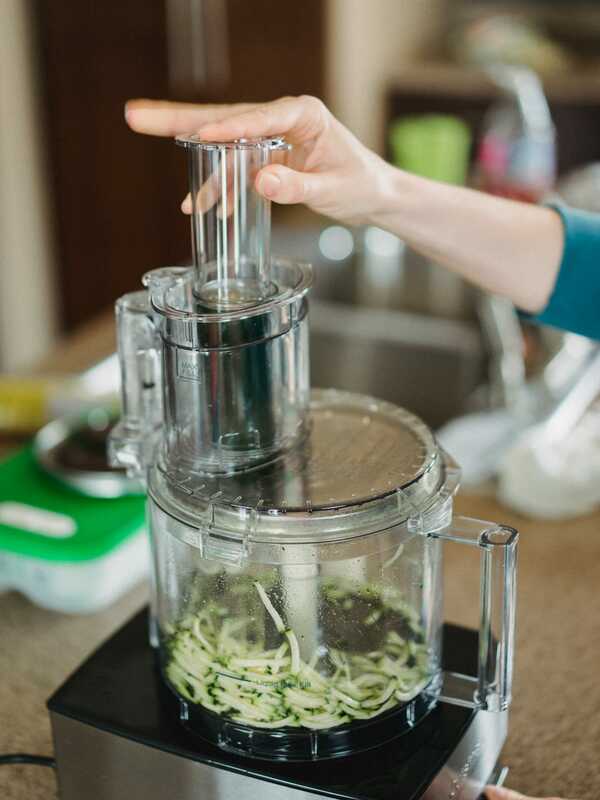 Of course, you don’t need to make sauces, soups, and salads with the food processor to be truly taking advantage of it. I always cry endlessly when chopping onions with a knife. With the Cuisinart Custom, I can quickly throw an onion in and, less than three seconds later, I have a perfectly minced onion, free of tears and chopped fingers. The same can be said for garlic, peppers, or cucumbers. 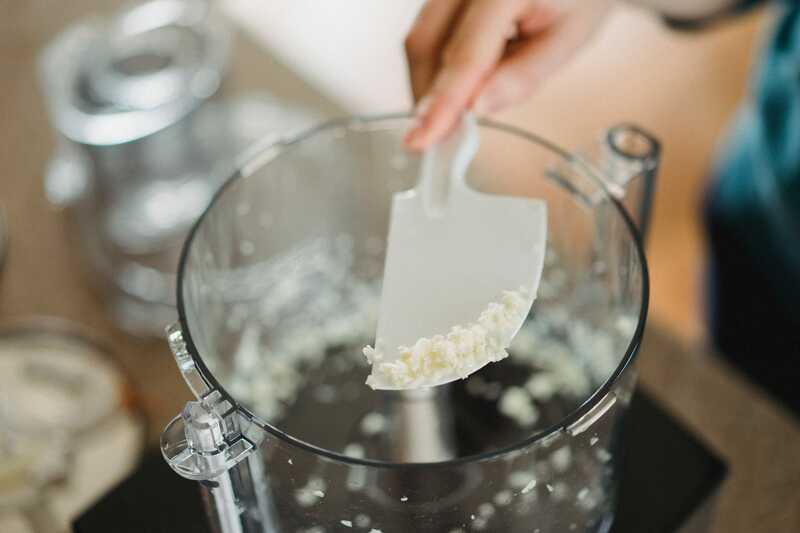 Rather than whipping out a knife and cutting board, a quick trip through the food processor saves bundles of time. The shredding disc is the key to my secret recipe: shredded cheese. Shredded cheese is extremely expensive in Canada, so it’s much cheaper to buy a block and run it through the Cuisinart Custom when we get home from the grocery store. But, of all recipes I’m most proud of thanks to the Cuisinart Custom, I’ve come to be most proud of my shredded cheese. Here in Canada, we spend a ton of money on shredded cheese. I took a trip to the grocery store this week and noticed bags of shredded cheese were as high as $11. A block of cheese, on the other hand, was between $6 and $7. So, instead of wasting $4 on every single bag of shredded cheese, I buy a block and have my husband run it through the Cuisinart Custom. As long as I can store the shredded cheese, this is one of the easiest ways to save a few dollars on groceries every week. 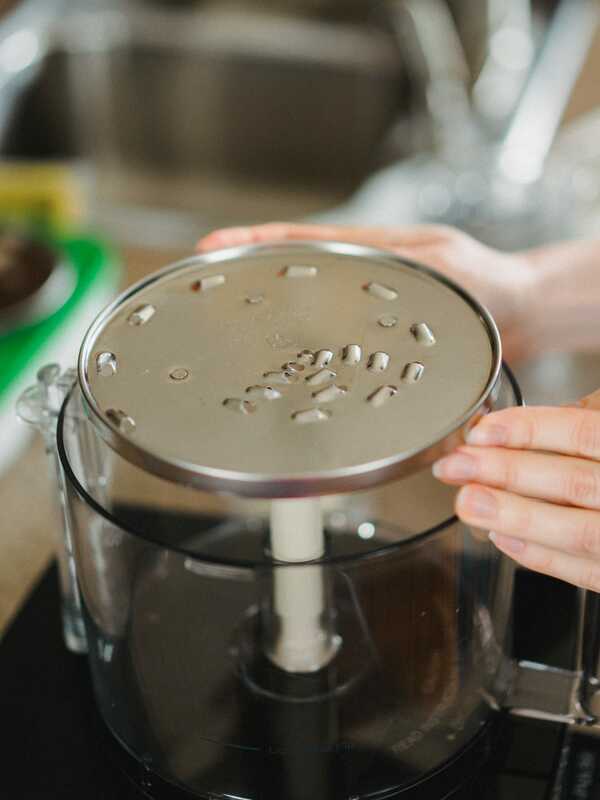 You can find a dozen other ways to use a food processor over at Pinch of Yum. 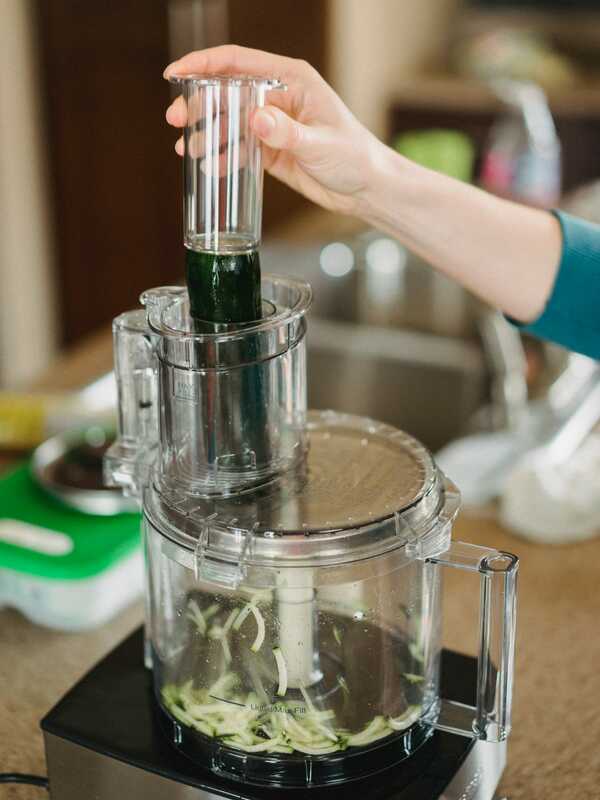 While Lindsay admits the whole point of the blog is to show her love for her food processor, you can find a ton of awesome recipes and other cooking and baking ideas on her site. If I’m ever short on food processor inspiration, Pinch of Yum is the first site I bring up. I could say the Cuisinart Custom 14-Cup Food Processor is for someone looking to save time on food prep and dishes and I wouldn’t be lying. The Cuisinart Custom also makes short of meat. 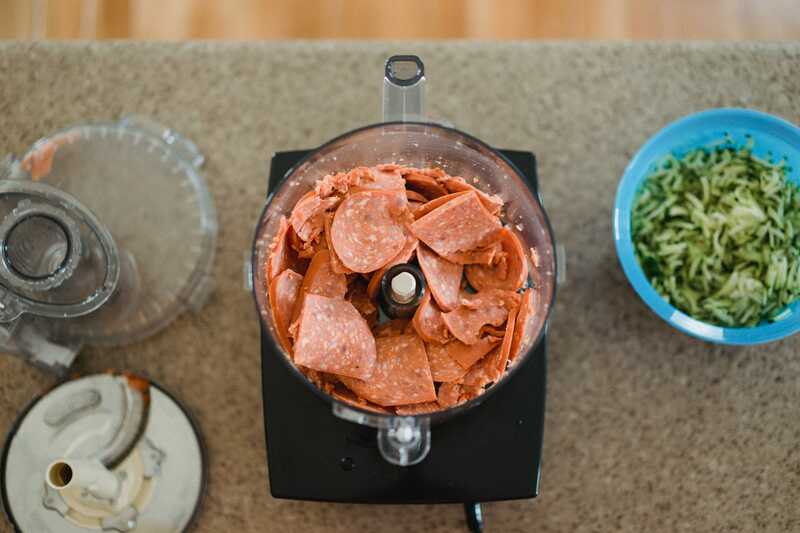 Here, I sliced some pepperoni for another fun recipe. 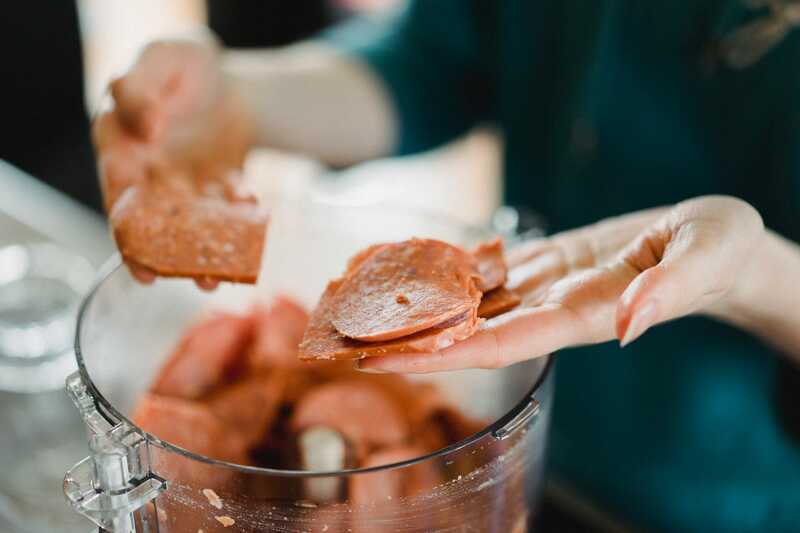 All it would take to grind this meat into a minced texture would be to run the Cuisinart Custom for another three to five seconds. 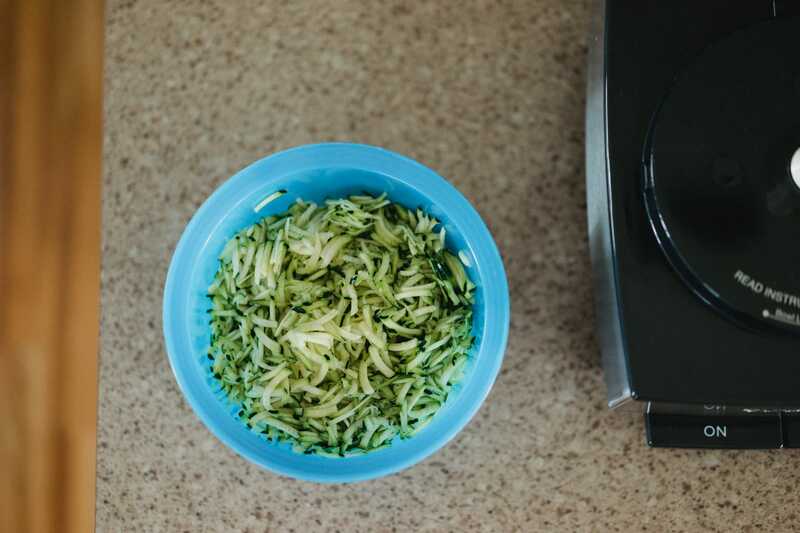 This shredded zucchini was added to a chocolate chip muffin recipe. But I also think this food processor is for a home cook who prides themselves on cooking whole food ingredients for their family. I genuinely like creating my own sauces, salads, and soups — not only can I be creative in what is added, I know the exact ingredients of all the food I put on the table. There are plenty of healthy options that can be found at the grocery store, but nothing feels quite right when you don’t know what’s actually in your food. The chopping/mixing blade is really great for chopping garlic. Instead of taking five minutes to mince the garlic, this took three seconds. I admit, the 14-cup mixing bowl gets a bit messy when garlic or onions are thrown in. The result: perfectly minced garlic. It’s amazing to me that you can make a puréed soup out of vegetables, broth, and some simple seasonings, and have such incredible flavor. 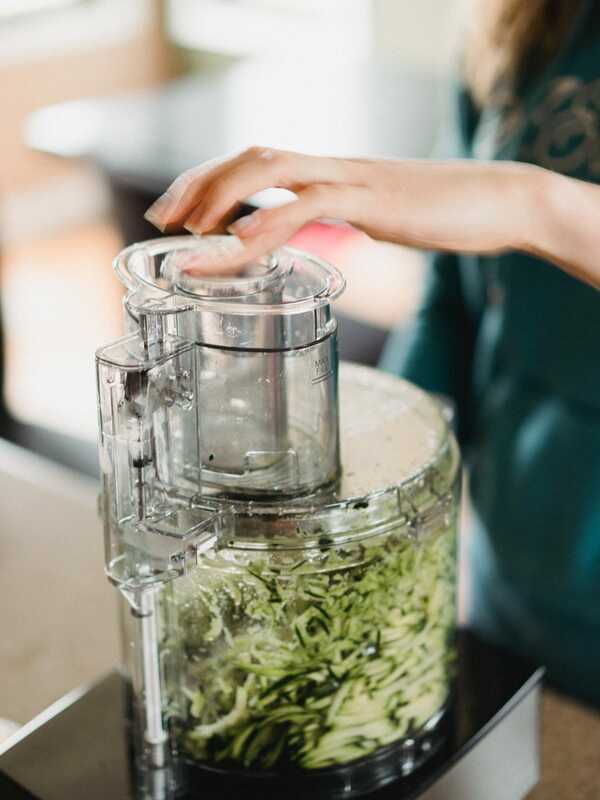 This machine makes it fun and easy to prepare new, exciting dishes that have a wide range of flavour, all with simple ingredients found in the produce section at the grocery store. I mentioned earlier I tried to cheap out and buy a less expensive option before I jumped into the deep-end on the Cuisinart Custom 14-Cup. 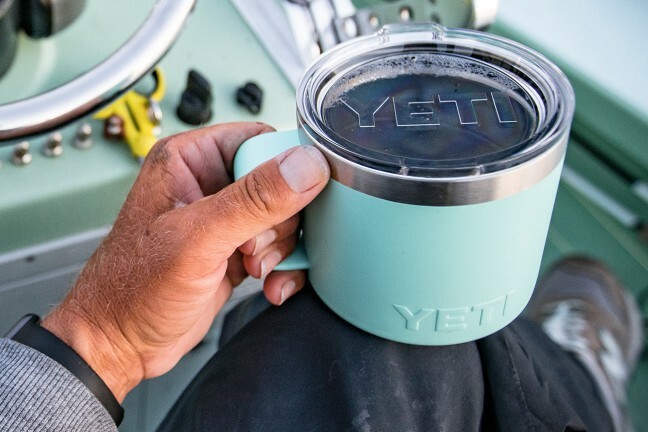 Since it didn’t even turn on out of the box, it might not be fair to say you should get the more expensive Cuisinart Custom. Either way though, at $200, the Cuisinart Custom won’t break the bank. There are more expensive options — like the Breville Sous Chef — that provide more features and buttons, but I’ve never once been disappointed with the speed and consistency of the Cuisinart Custom. 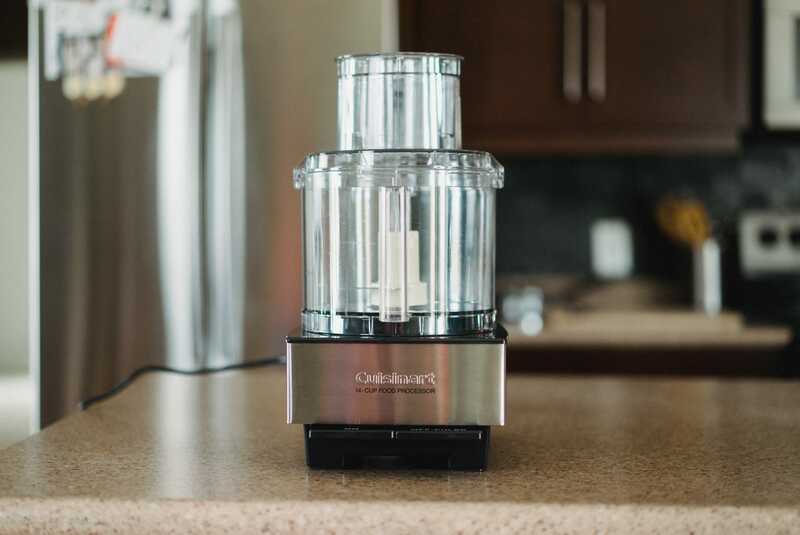 In my mind, there’s a good reason why the Cuisinart Custom 14-Cup Food Processor sits atop The Sweethome’s list. As I’ve grown up and watched my mother and grandmother cook and bake in their kitchens, I’ve learned to appreciate how physical making dinner can be. Kneading bread takes serious arm strength and stamina. Chopping vegetables requires good hand-eye coordination and quickness. And there’s nothing quite like stirring a homemade hummus for long amounts of time to get rid of all the clumps. The Cuisinart Custom 14-Cup Food Processor has turned my kitchen into a somewhat automated kitchen. Tedious tasks our parents and grandparents did to prepare food each day can now be done in seconds while you’re doing something else. In the modern kitchen, there are appliances for all the heavy kneading, quick chopping, and endless stirring. I reviewed the Kitchenaid Pro 450 Mixer for Tools & Toys and noted how you could walk away from the Kitchenaid while performing other tasks in the kitchen and come back to a perfectly mixed batter or dough. The same can be said about the Cuisinart Custom 14-Cup Food Processor (although you might not want to walk away from it). Between these two appliances, 90% of my laborious kitchen needs are covered.